I pulled this one out of my to be read pile after the second went on sale and I bought it as well. I decided I should probably read the first one before I managed to buy the whole series before actually reading even one of them! Werewolf pack leader Finn Stavros is in the middle of trying to figure out why there are so many Akkadian demons suddenly populating his part of Louisiana. Especially when there shouldn’t be any. 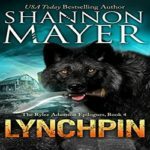 He and his pack are trying to clean up the problem when after seventeen years, the vampire female that he had loved and lost, shows up at his home. Lyra Marius is Finn’s only vulnerability. He had to break it off with her due to his bully of an uncle and pack leader at that time-or risk his uncle killing her. Vampires and werewolves don’t mate, especially if they are both pretty much royalty to their people. Lyra’s sixteen year old daughter, Vega, has been kidnapped and there is a vampire prophesy about a born(not bitten)vampire hybrid of her age, who’s blood has to be used to open the door for the all the demons.It takes a solar eclipse to complete the prophesy and that is only five days away.What Lyra doesn’t know is that Finn has been actively searching for her since he challenged his uncle and killed him. This second chance romance was a fairly good one. I would have liked to see a lot more about how they met and got together seventeen years before. That’s probably because my favorite part of a romance is when a couple meets. I wanted to see what they saw in each other back then, and see all the dynamics of their six month relationship when they were younger. Of course they aren’t young in human terms, as they both are immortal. The premise of the demons escaping into the world was also a fairly good one, and although done so many times before by other authors, this author managed to bring in new descriptions of demons and their attributes-and how they are escaping. There actually is a good bit of world building beyond the demons. I didn’t feel like there was an info dump, it’s just told in bits and pieces to the reader here and there throughout the story. Always a good thing in a read for me. Main characters of Finn and Lyra were fully realized by the author and we do get both points of view.They were both extremely strong willed and the chemistry between the two is pretty much off the charts. We also get to see a good bit of Vega, and I hope that we get a grown up story about her at some point. Of course there are other characters introduced that I hope will get their story told, as well. To me, even though it started out with quite an exciting scene, I still thought it was a bit slow in the beginning. It took me awhile to really get into the story, though of course that might have been just me because I do read a lot of this type of book. I kept putting it down and reading other books, but in the end I did like it. This is the first book by this author I have read and I am looking forward to reading book two titled, Taste of Darkness. And that one features a dragon and werewolf romance. 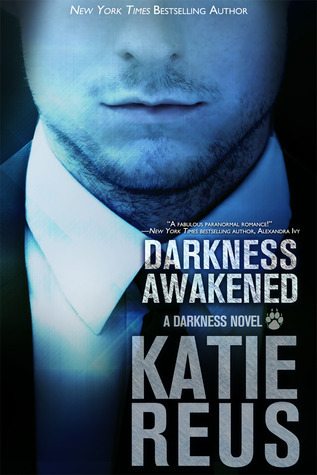 This was a good werewolf shifter read, and I recommend it to adult paranormal romance readers. I’m glad you ended up liking this one overall, Lorna. It is interesting that the pacing(?) didn’t keep you as invested in the story – at least at first. And I get you wanting more backstory between Lyra and Finn. I’d want to know it as well…why did they fall for one another? Why should I be rooting for their second chance? I am happy that they, and the other cast members, were well fleshed out and that you’re looking forward to more. 🙂 Reus is on my must-read list. Hopefully I’ll get to her sooner than later. Nice review! You’re making me want to pick this up! It’s been awhile since I have read a good vamp book. Great review. I have thought off and on about adding this one to my TBR. I might eventually give it a try. I can’t remember but I think it was reasonably priced so more easily added 🙂 At least that was my thought-well that and well.. Werewolves! And thanks! Nice review! I am a fan of this series. Honestly, I feel like they get better after the first one. I’m looking forward to the 4th book, coming out soon! At least you liked it in the end. I’m an ending girl so a slow beginning is okay by me (as long as it still moves forward, that is…). I’ve been curious about this author and I may have to put her on my wishlist. I am always up for trying new authors especially when they write about vampires or werewolves 🙂 I think the next one sounds even better than this one. I am glad it’s just not me about it being slow. I am looking forward to the next one-Dragon! I wish I could get more of my tbr pile worked on! Thanks! This one sounds like a good read, even if you did set it aside a few times. And go on you for making a dent in your TBR. It wasn’t a bad read at all. I am looking forward to reading the second one 🙂 I wish I had more time to work on my tbr! Oh hello. I have a certain weakness for scruff. 😀 Love this cover, needless to say. As for the rest…oh well. We can’t have it all. Very true, we can’t 🙂 I liked it well enough to want to read the second one-which I hear is better. It’s good to see an author create some demon’s that are more unique, because you’re right, they’ve been done before! Great to see that you enjoyed it enough to continue the series!